Human and natural behaviors are jeopardizing this seabird. 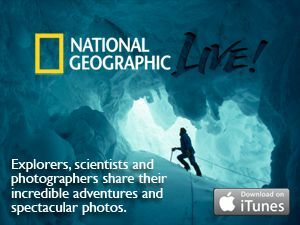 This video was filmed on September 13, 2011 as part of the National Geographic Live! Lecture series at National Geographic Society headquarters in Washington, D.C. Photographer Frans Lanting documents the plight of the albatross, one of the largest flying birds on Earth. Lanting has been hailed as one of the great nature photographers of our time. For more than two decades he has documented wildlife and the human relationship with nature in environments from the Amazon to Antarctica. type of very large seabird.